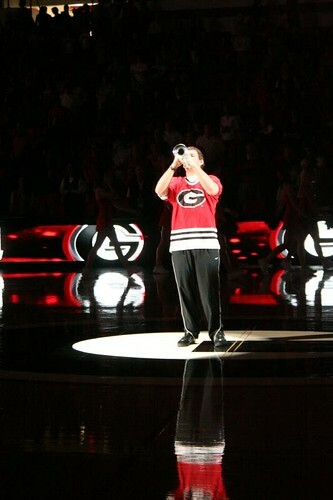 Athens, GA (Feb 16, 2008) - The 4th ranked University of Tennessee Volunteers (22-2, 9-1 SEC) will be playing the University of Georgia Bulldogs (12-10, 3-6 SEC) today at Stegemen Coliseum in Athens, GA. Game time is 3:00 PM EST on the Raycom Sports Network. I will be working as the stage manager today, so no time for live blogging. 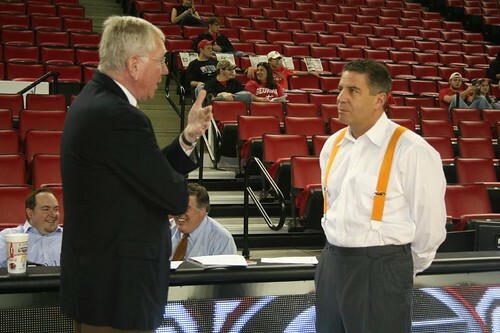 Raycom Sports analyst Larry Conley talks basketball with Tennessee Coach Bruce Pearl earlier this afternoon. Photograph Copyright 2008 by Christopher Byrne/Eye on Sports Media. All Rights Reserved. 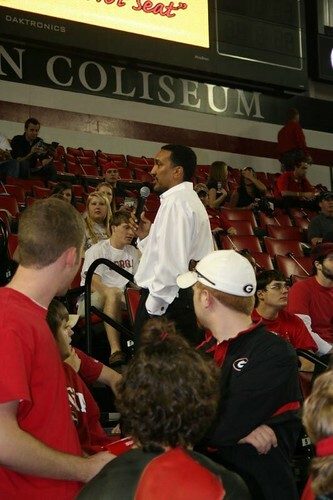 University of Georgia Coach Dennis Felton takes questions from the student section before the game. Photograph Copyright 2008 by Christopher Byrne/Eye on Sports Media. All Rights Reserved. 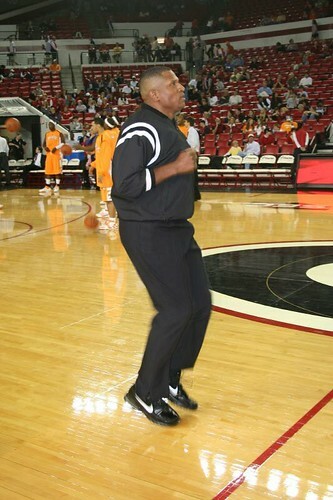 Referee loosens up before the game. 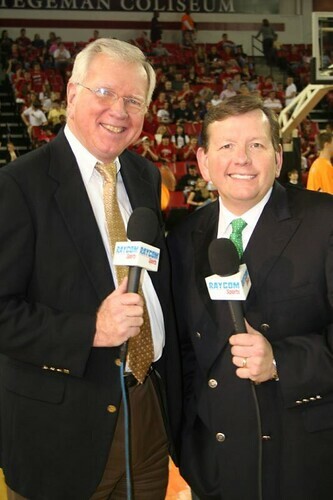 Raycom Sports Analyst Larry Conley and Play-By-Play Man Dave "Buzz" Baker after taping the opening segment.